Starting a new speed shop is easy enough—you just need the money to buy a bunch of parts and hire the right people. Building an identity in this world, though, a name that people hear and instantly think “Yeah, that kind of fast,” is a far greater challenge. But Graham Rahal might be just the person to meet it. 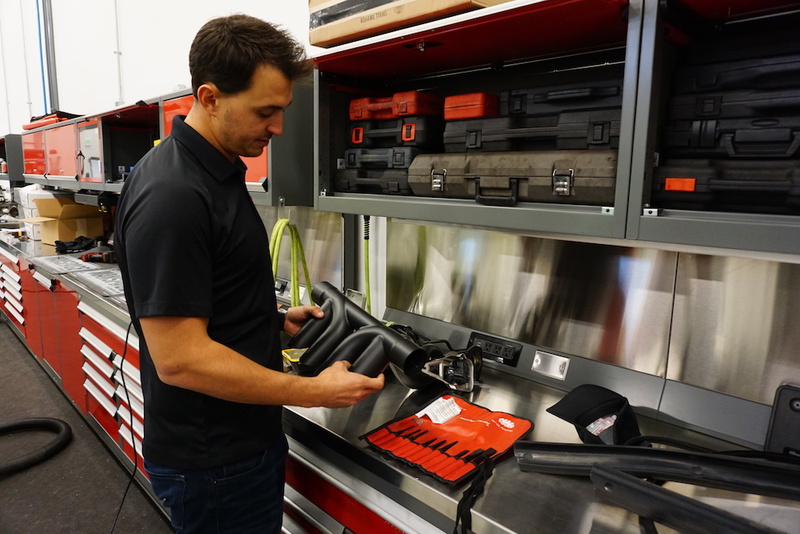 The well-known IndyCar driver thinks he’s cracked the code with his newest and most ambitious endeavor yet, a fresh high-performance tuning outfit and parts supplier eponymously named Graham Rahal Performance, or GRP for short. Rahal says his vision has been informed by a lot of bad experiences with various outfits across the aftermarket industry, so we wanted to know: what happens when someone with the experience and expectations of a professional racer gets tired of working with difficult people and decides to build his own operation? The Drive recently had the exclusive opportunity to go behind the scenes at the company’s state-of-the-art Indiana facility, located just a few miles down the road from the Indianapolis Motor Speedway, where GRP houses its offices, workspace, builds in progress, and a whole lot of parts. I arrive on location early to take a few photographs, and it's not long before Rahal pulls up at the wheel of his Ford F-150 Raptor, the very same one you can see suspended on a lift getting bigger Brembo brakes installed in some of these pictures. 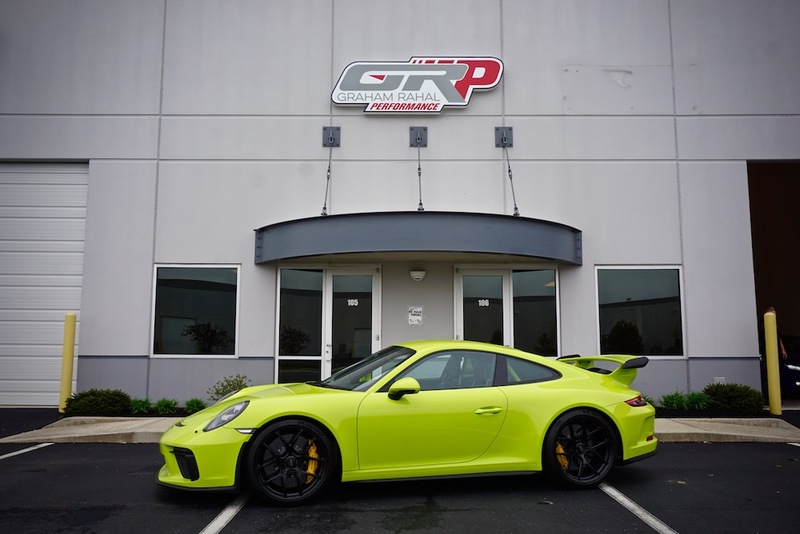 Unlike many performance shops, GRP is egalitarian—they work on everything from high-end sports cars like Porsches and Mercedes-AMGs to something like the Honda Civic Type R. But more on that later. With Rahal is his wife, NHRA Top Fuel National Champion drag racer Courtney Force, who had changed her travel plans to spend some extra time with her husband between races. Like any business owner, the beginning of Rahal’s day is consumed by getting up to speed on the shop’s status and its current projects. And after tapping out a few messages on his iPhone and a glance at the stunning Audemars Piguet Royal Oak on his left wrist, he's ready to tell his story. Rahal talks about the job his shop's performed on a Lichtgrun Porsche 911 GT3. The Drive: Where did the idea of creating GRP come from, and when? Graham Rahal: It’s been coming for a long, long time, honestly. I unofficially started GRP last May basically out of my house, selling parts and what not. But overall, everything started when my brother and I were about 12 or 13 years old. We used to go out on the garage and tinker with stuff all the time. 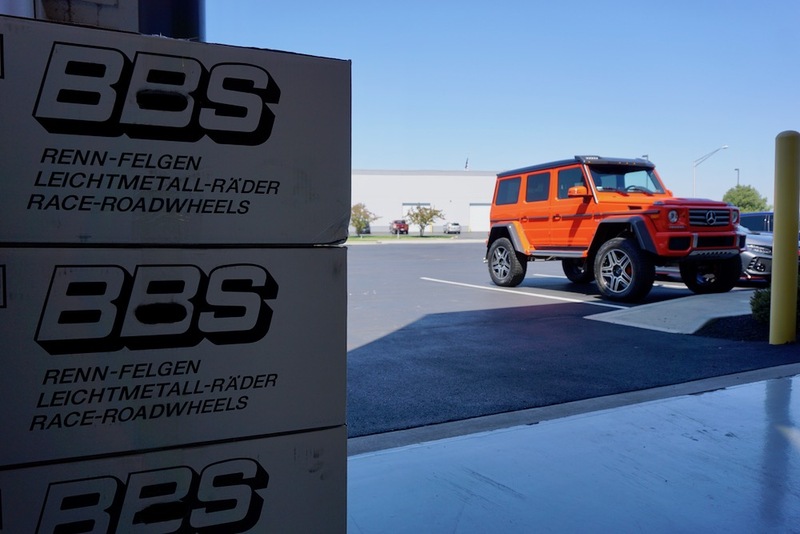 After a short stint at my house, we finally opened the shop at the beginning of October , which in Indianapolis is a hard time of year to go sell high-performance car parts. [Ed. note: Because winter.] Fast forward to today, and the shop is full, I don’t know how many more cars we could fit in there today. GR: As far as the business goes, it was the new Acura NSX that finally broke the ice. I was on the development team for the NSX, so I knew a lot about the car before it even came out, and the biggest weakness of the car was that it made no noise, so I had the idea of developing an exhaust system that would improve that. Initially, I was just going to do it as a private label with a friend of mine, but it just turned out that in the end they didn’t want to do it and I was too far down the path to turn back around. That’s basically when GRP was born. As far as my passion for working on cars, the first project I remember goes back to when the new-gen  Mini Cooper came out. My dad [1986 Indy 500 winner, Bobby Rahal] got one, a red S, one of the very first in the country. It wasn’t long before we got Pro-Drive wheels for it, H&R coil-overs, a Brembo Big Brake Kit, etc. We got all this stuff for it, and we just tinkered with it over and over again. TD: If I’m not mistaken, there’s also another Mini Cooper that played a big roll in strengthening your love affair with cars. GR: [Laughs] Yes, it was a South African-made, right-hand-drive Mini Cooper S. It was British Racing Green with a white top, white mirrors, and green interior. Dad bought that car when I was 16, and I drove to Bowling Green, Ohio to pick it up and drive it back home. My high school had something called senior seminar, which required students to spend 100 hours doing something that would influence them in life. Some kids shadowed at a law office, but my only passion was cars, so I submitted the idea and my teachers approved it. I spent way more than a hundred hours restoring it, but I swear it’s one of the nicest Minis you’ll ever see. That’s the one thing that I will never sell. I will be buried in it. TD: So back to the business—you’re newly married, you’re racing full-time and then some, with the Daytona 24 and other one-off races. Clearly, you've got a lot of things on your plate. Why launch a business, especially one that transitioned from a hobby? GR: One thing about me that my wife and my brother can tell you, is that I often make decisions on a whim—and I go for it, and when I go for it, I am fully committed. It’s something I really enjoy and it’s a passion that I’ve had for a really long time. More importantly, I realized that there’s a spot in the market for a shop like GRP, especially here in Indianapolis, because nobody really does this here. TD: What is your ultimate vision for this place? GR: My goal is to I take what I know from IndyCar racing and translate it to a performance-tuning facility. I want to give an industry that oftentimes lacks quality, attention to detail, and customer service everything it deserves. This business is truly dedicated to its customers. I’ve tried [everyone else], I’ve had them all, I’ve worked with most of my competitors, and that’s a big reason why I started my own company. I’ve been treated poorly, I’ve had stuff stolen from me—I won’t name names. I’ve been on the customer side of this for many years. I call every customer that buys our products and I make sure everything was sent right. People really appreciate that. I’m dedicated to offering that personal connection—and I truly believe that’s where customer loyalty comes from. TD: For a business that’s still so young and has to compete with longstanding competitors, how do you stand out? GR: Again, it goes back to the customer service. We take care of things, no questions asked. Do you know how many times I’ve ordered a product only to receive it and something be wrong with it, or I've had a question that no one wants to help me with? That’s not how we fly here. We share the same mentality from our IndyCar team and we take care of things the right way, the first time. Rahal explains the advantages of the GRP exhaust for the Acura NSX. At this point, Rahal and I venture onto the shop floor, which is so clean that I can see my own reflection in it. Our first stop is a Nouvelle Blue Pearl Acura NSX with most of its rear end disassembled that serves as a "rolling parts catalog." "The GRP exhaust system for the NSX is made here in Indy by a prominent exhaust manufacturer who makes all of our IndyCar headers," Rahal tells me. "We are the only company who makes an NSX exhaust with a full blanketing system that’s custom made to fit the NSX, which helps us get rid of flimsy heat shields." "Also, we’re the only guys who make all of their flanges and other components out of Inconel, the same stuff that IndyCar suspension studs are made out of," he adds. "It’s basically the strongest stainless superalloy that you could come up with. If I told people how much it costs us to make these Inconel parts they'd freak out, but that’s the kind of quality I want to give to our customers." After our cheeky peek at the naked NSX, we proceed to check out some of the other vehicles and equipment neatly organized around the shop. 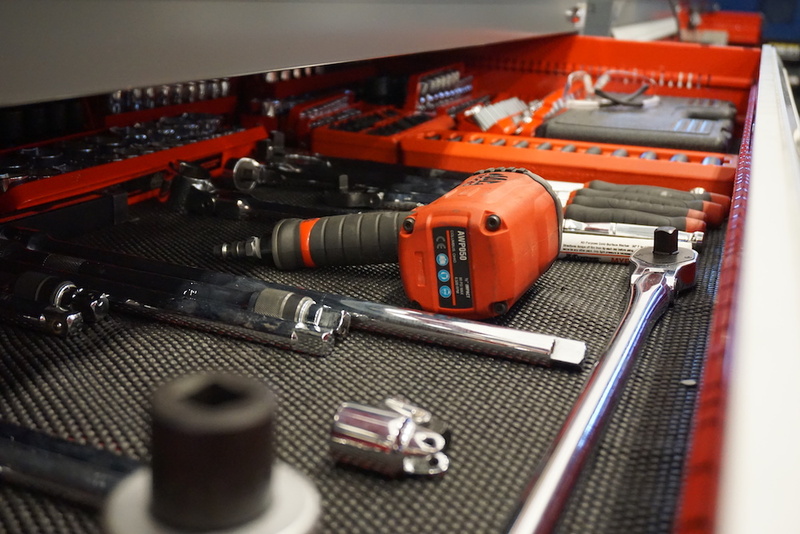 Much like an IndyCar garage, everything is spotless and smudge-free, right down to the smallest tool. And despite the boxes of parts scattered throughout the facility, it all seems to run more like a racing team's garage rather than an independent shop. Some of the machinery is also reminiscent of a top-notch motorsports operation. "Here we have the nicest Hunter Engineering laser alignment rack money can buy," he says. 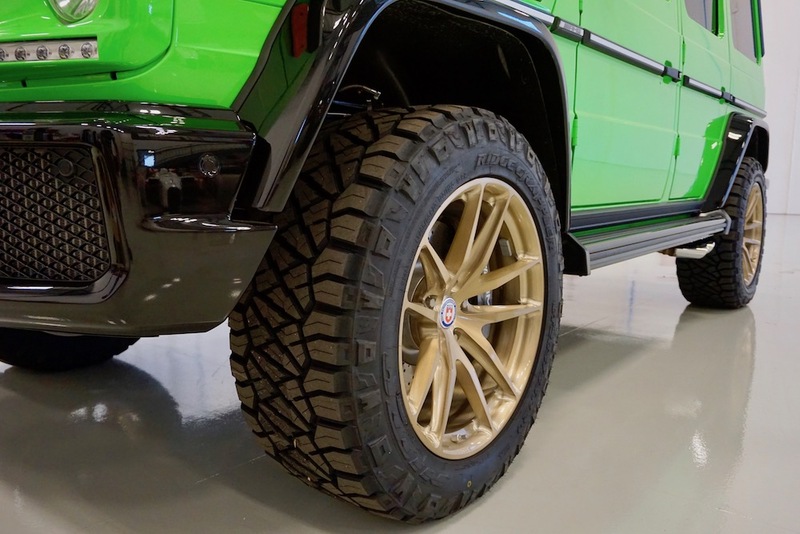 "We also have a touchless wheel and tire mounting and balancing system. 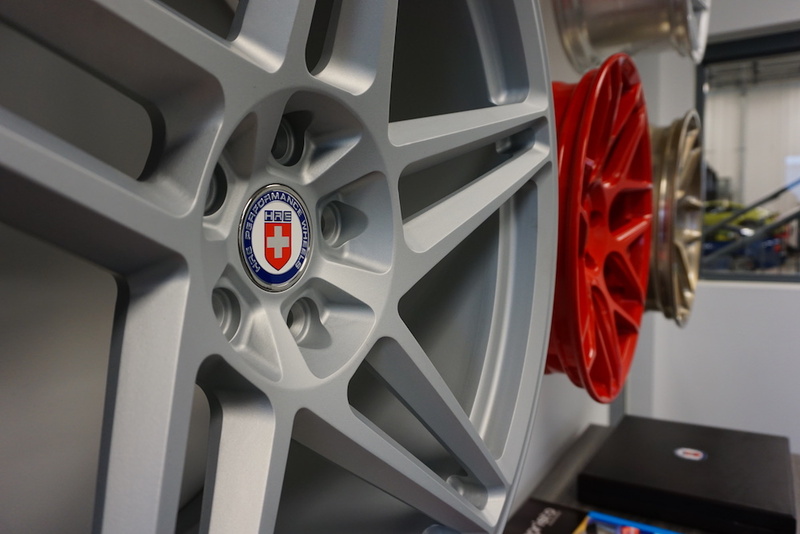 We can even work with carbon wheels, and there aren’t many shops can do that." 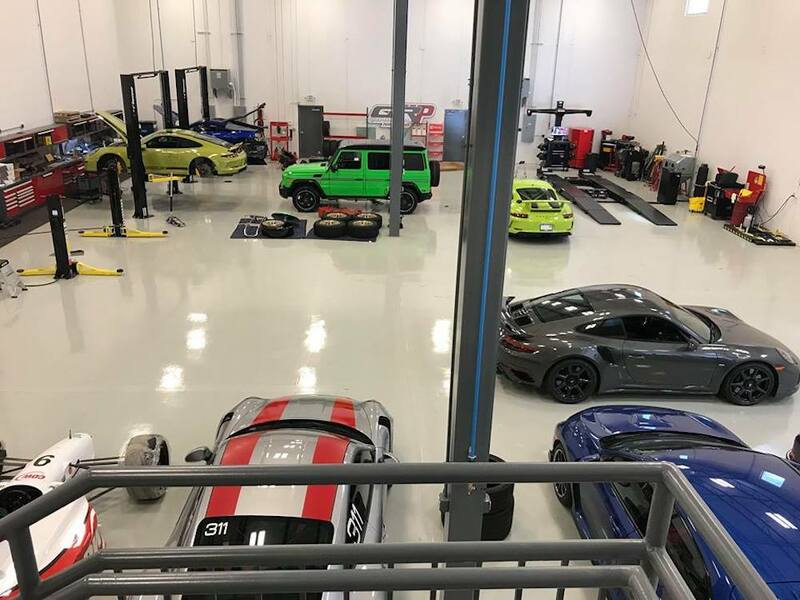 "We’re looking to buying a dyno pretty soon so we can do dyno days," Rahal declares as he stared at a Porsche 911 R and Turbo S sitting on the shop floor. 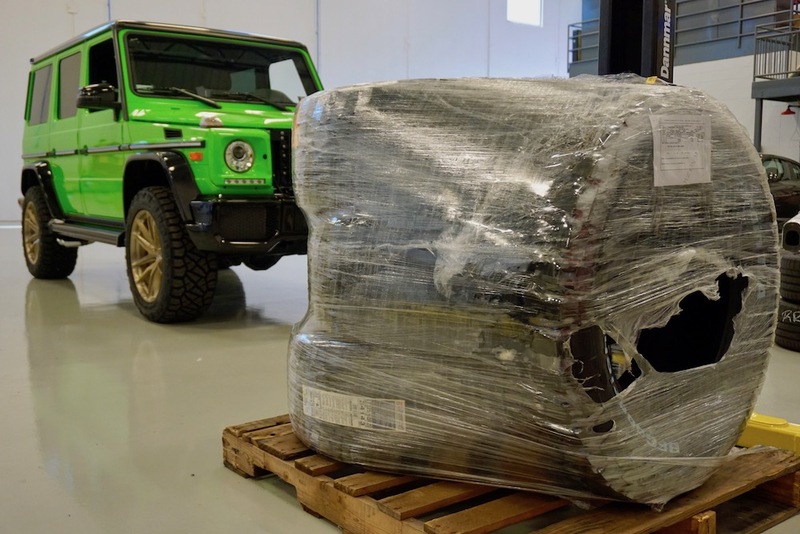 "Going back to our whole thing about quality—If I bring in a customer and I tell him that our mods will deliver 50 extra horses, I want to dyno his car when it comes in stock, and then dyno it again when the project is over to prove that it really gained 50 horses." 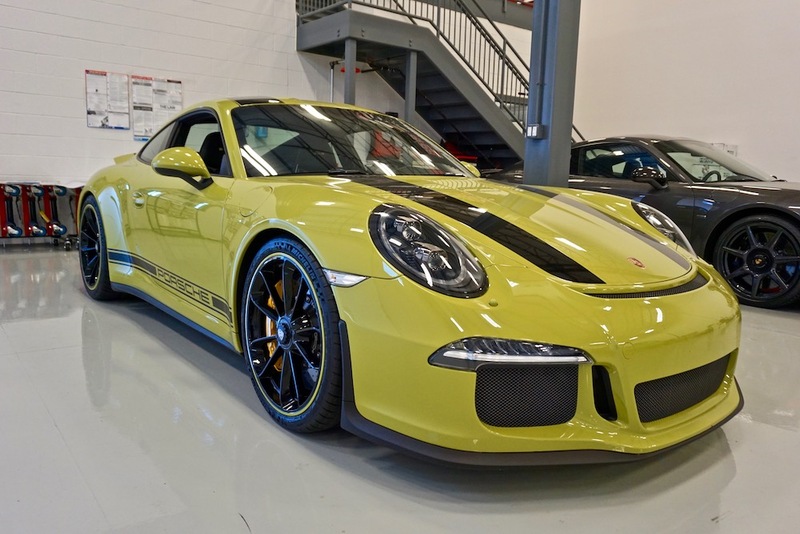 Speaking of performance gains, Rahal directs us to a customer vehicle they had just finished—a stunning light-green Porsche 911 GT3 that came into the shop with just a couple of hundred miles in the odometer. The owner of the Porsche came to GRP looking to enhance his new toy's performance. GRP exhaust installed on a 2018 Porsche 911 GT3. "This one right here is pretty rare. 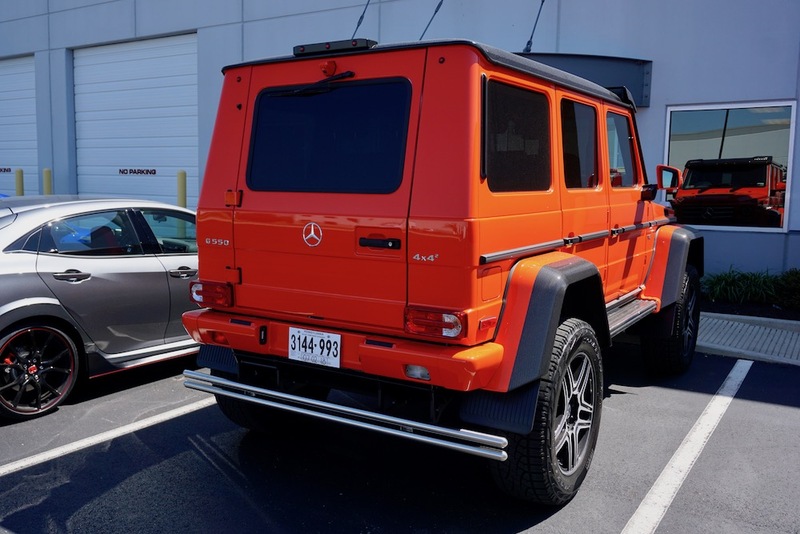 The color is called Lichtgrun and it's a manual-transmission car," said Rahal. "It has our own GRP exhaust, which actually retains the side valving and makes it sound really mean." 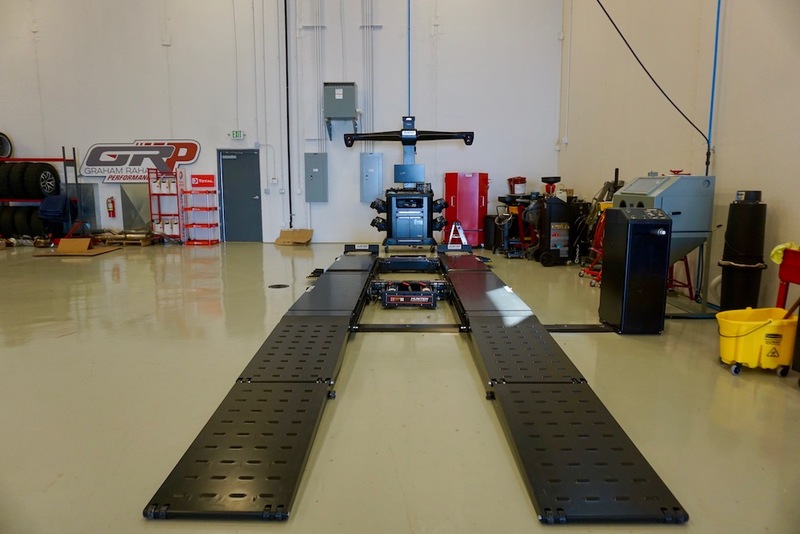 "The owner of this car requested a specific alignment based on his own track experience, so we've also gone ahead and given it a full track alignment tailored specifically to the customer's demands," he added. "Inside, we've also installed racing harnesses in black, which required us to modify the center pad, take the covers out, etc. 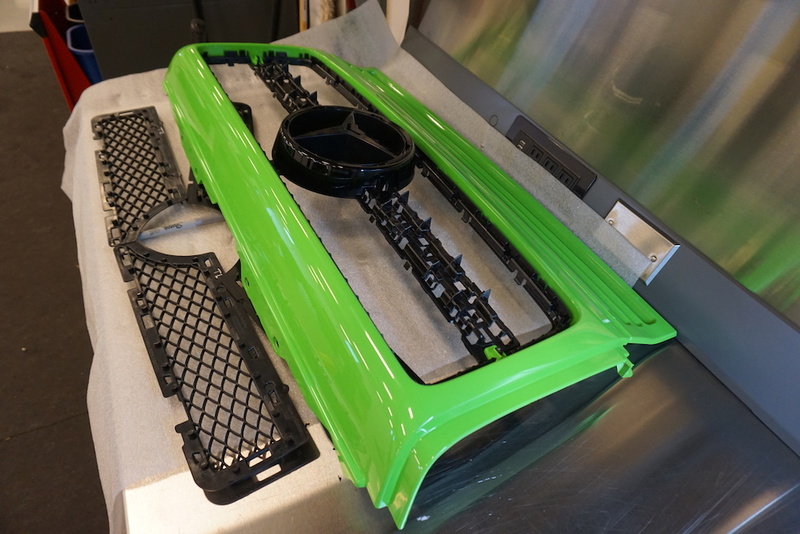 The custom rollbar was also painted to match in custom Lichtgrun." While the upgraded exhaust system delivered untold horsepower gains, the patron focused on making his Porsche faster and handle considerably better at the track through the lightweight HRE wheels, track-specific alignment, and Michelin Pilot Sport 4S tires. As a professional race car driver, this is the kind of stuff Rahal gets; it's not always about adding more ponies. As we wrap up the tour, Rahal mentions one last touch of personal service: every customer who orders an exhaust system or any other GRP component gets his master tech’s cell phone number with the receipt. "I want our customers to feel confident that they won’t have any issues with our products, and that the experience with GRP doesn’t end when they check out online," he says. "Customers can call our technician and get support for whatever they ordered, no questions asked." Promising bones aside, only time will tell what the future holds for Rahal’s new venture. Brands are fickle, ephemeral things—but if you're going to build a lasting name in high-performance tuning, combining a perfectionist IndyCar driver with a lineup of premier technicians and parts suppliers is a solid start. Turns out, you can put a price on V-12 perfection. The popular Indycar driver races against a virtual reality Civic Type R at the famous Road Atlanta.